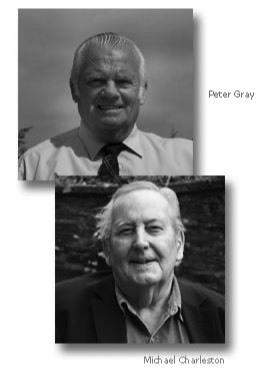 The following video shows how the pioneering work done by Peter Gray on the Tyne has been adopted so effectively on rivers in the eastern United States. Peter Gray was the hatchery expert who played a major role in rescuing the salmon stock of the river Tyne from extinction. By the time he retired in 2005 the rod catch had risen from nil to over 4,000 salmon annually - and the Tyne was once again the finest salmon river in England and Wales. Born on the banks of the Tyne on the 9th of April, 1941, the grandson of a Tweed ghillie, he fished for brown trout as a boy but soon graduated to fishing the fly for salmon and sea trout. Peter managed the famous Kielder Hatchery for twenty-seven years. In all, he worked in English hatcheries for forty-three years. Apart from supplying the Tyne’s recovery programme, he used the salmon he raised at Kielder to restore the lost salmon run to the Trent and Dove. In recent years he was working as an international consultant on conservation stocking. His groundbreaking book (written with Michael Charleston), Swimming Against the Tide - Restoring Salmon to the Tyne, was published by Medlar in 2011 and Peter travelled widely after its publication to talk about his techniques for salmon stocking. He was Vice President of Northumbria’s best-known fishing club, the West End Anglers. Peter died on Friday 8th November, 2013. Apart from time out for national service in the Royal Navy, Michael Charleston worked for fifty-two years as a reporter, feature writer and executive for local, regional and national newspapers and finally as an adviser to the Rural Development Commission. Born in 1929, fishing has been his hobby from the age of six. After retiring from being paid to write in 1997 he became honorary secretary of the South West Rivers Association for eight years. During that time his campaigns for better national management of the river valley environments earned him the support of the river associations and fishing clubs of many of the game-fishing rivers of England and Wales. In 2004 he was appointed OBE for his conservation work and in 2005 he won the Salmon and Trout Association’s Arthur Oglesby Trophy. Since 1998 Michael has been an adviser to Orri Vigfusson, the chairman of the North Atlantic Salmon Fund.